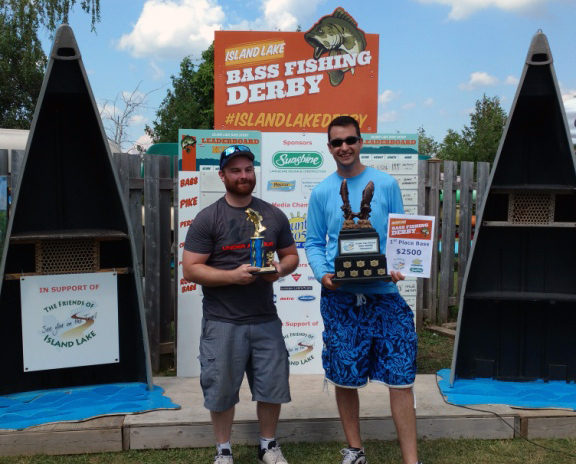 The 10th annual Island Lake Bass Derby that ran on July 14 and 15, 2018 was our most attended derby to date. In total 265 participants took part for a chance to win more than $6200 in prizes. The fishing was particularly amazing on Saturday, with 110 fish weighed in. The two-day catch and release derby brought many first-time and experienced anglers to the park. The derby was open to everyone, with special kids’ categories to help encourage fishing at all ages. 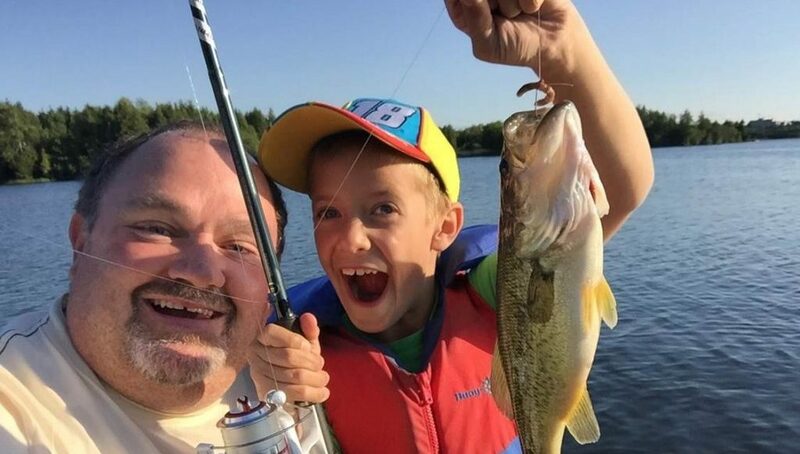 Our goal is to promote fishing at Island Lake and raise money for projects around the park. Categories included big catch prizes for the top 10 bass, as well as special categories for the top pike, perch and crappie. As part of the 10th anniversary celebration, participants could catch one of 10 tagged fish and win $100. This year’s leader board saw the biggest bass caught to date at any of our derbies at a whopping 5.52 lbs and 19.9″, and 3 bass weighing in at over 5 lbs. 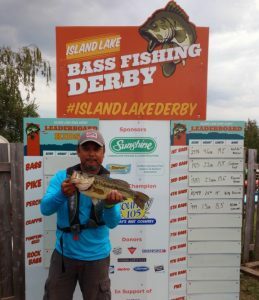 1st place Bass: Score 3015 (5.52lb, 19.9”) Anthony Hakim – Biggest bass caught to date at any of our derbies! Following the derby, everyone enjoyed Islandpalooza, an after party celebration with live music, food and a beer garden at the waterfront amphitheater. We want to extend a big thank you to our local sponsors, including our lead sponsor Country 105. The event was hosted in partnership with Credit Valley Conservation (CVC), Credit Valley Conservation Foundation (CVCF) and the Friends of Island Lake (FOIL) as an annual fundraiser for Island Lake Conservation Area projects.